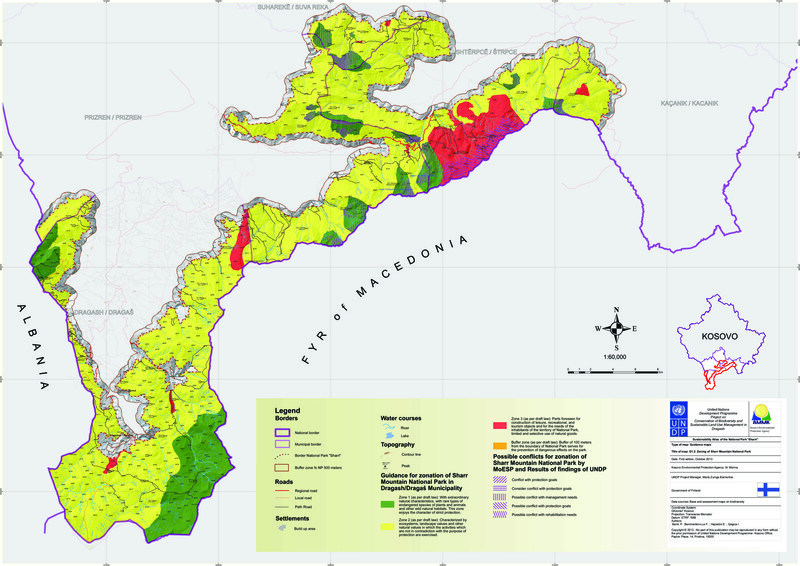 Sustainability Atlas for the Municipal Development Plan (concept, collection, supervising map production (45 thematic maps). The Sustainable Development Atlas (SDA) includes spatial assessment of local / regional resources and guidance for further spatial development and land management as input for the Municipal Development Plan and other future plans. 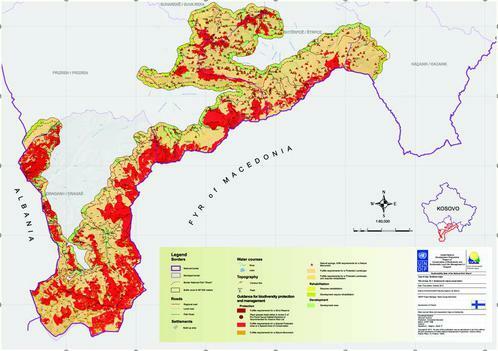 Advisory service for the Municipal Development Plan Dragash – Capacity Building Programmes for UNDP and Dragash Municipality. 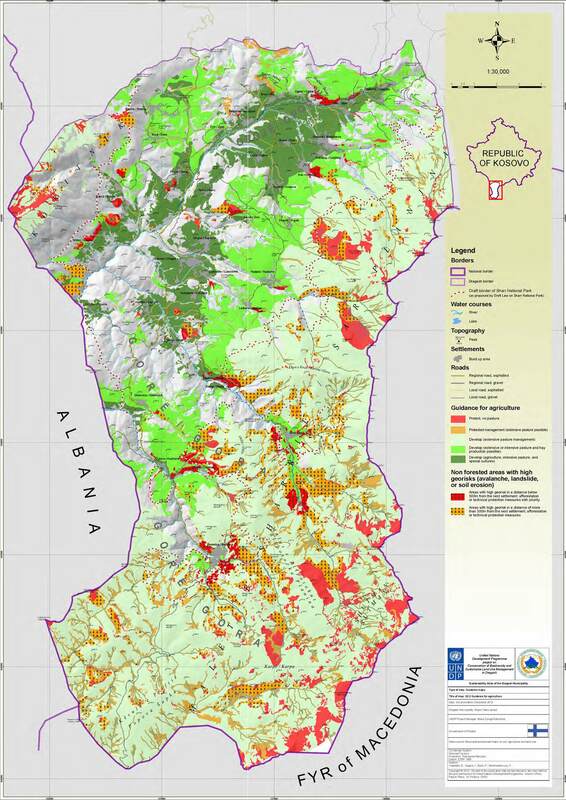 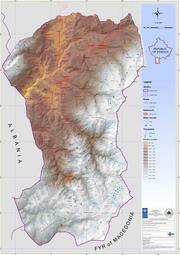 Draft Sustainability Atlas - UNDP Project 2010 - 2012 - for the Municipality of Dragash in the southern part of Kosovo. Part I (Introduction, Profile and SWOT-Analysis), Part II (Vision, Spatial Development Framework, Strategies and Implementation Provisions) and Part III (Maps).